In later years, I obviously turned to punk rock with the Bad Brains. You know I'm from Washington, DC. They're from Washington, DC. I first saw them in 1979 and that was an incredible experience for me because they were people from my own town, roughly my own age, a little bit older, not much older. But they also - clearly - had no choice. They had to make that music. I could talk for an hour and a half about all the different bands that have hit me like that, that have affected me like that. The most important thing is the "why?" - what music means to me. I'll say this about music: I believe that music is a form of communication that predates language. Even though I know that there is a record industry, and they sell records and there's videos and movies and there's all the merchandise and lifestyle kind of stuff - all that stuff is not important to me. Music is much more important to me. Music came before all of that. That's what I am interested in - that aspect of it. PMAKid: Cool. Alright, so the next one is what are your three favorite *books* and why? Ian: I gotta say, the same thing for writers. I do read a lot. I've read a lot in my life. I can tell you that I don't have favorite books, necessarily. I can tell you that one writer who - I've read just about everything he has written is Kurt Vonnegut, Jr. who I've found to be a very insightful person. The way he rights - I think he celebrates the absurdity of our society. He thinks about words, he thinks about situation, he gives it a very different perspective. Often when I'm feeling frustrated or discouraged by a situation, I will think about some of his writings. I'll think about the kind of attitudes that I picked up from his writing. I also think that another writer that I quite enjoyed over the years is Gore Vidal, specifically his historical fiction. This is his attempt to talk about real events in history, but put in a narrative form. Because it's historical fiction, he's not constricted by the rule of non-fiction, meaning it has to be the truth at all times. A book I would recommend to you would be Gore Vidal's Lincoln, for instance. His writing about Lincoln is very interesting. He writes a lot. It's a lot of work sometimes, but I quite like Gore Vidal. Then there's about 100,000 other writers that I've read and enjoyed over the years. The way I read is interesting too. I'll read a book about a subject and then I'll just start reading any book I can find on that particular subject. And then one day I will say "Oh, I've read enough about the 60s underground" or "I've read enough about the Beatles" or "I've read enough about a prison uprising" or whatever it is that I'm reading about. And then after I've studied like that a bit, I'll find a novel because I like stories a lot. PMAKid: My understanding is you wrote the song "Straight edge" to express your personal beliefs. There are other people like my friend Kevin Seconds who do not smoke or drink or do drugs, but refuse to label themselves as straight edge. How do you feel about the path from your song to the straight edge movement? Ian: Y'know, I wrote the song "Straight Edge" in 1980, I think. I gues I coined the phrase? The term Straight Edge was one of the ideas I had. Jeff Nelson and I - Jeff was a drummer in the Teen Idles and I played the bass in the Teen Idles. We decided to do a new band after the Teen Idles broke up. I was going to sing and he was going to drum. We spend a while thinking about band names. We had lists of names, and Straight Edge was an idea for a name of the band - initially. But I hadn't quite figured out what it was. I was playing on the idea that "A", a straight edge is a razor, sothere's a sort of dangerous element to it. It's a ruler which has a sort of measurement to it - almost an educational - there's a positive aspect to it. You can use a straight edge to draw a straight line. But also I thought about the fact that I had never taken drugs, I had never was a drinker, I never smoked cigarettes. I just didn't do these things. In the 1970s, when I was a kid, I felt like I was being - well I was being ridiculued for being straight. It was just an unsual thing to be at the time. I had written a little bit about it - somewhat humerously - in the Teen Idles. 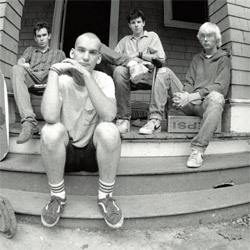 But in Minor Threat I decided I wanted to be a bit more direct about my right to live my life the way I wanted to. Ther term Straight Edge, I saw how it could apply and I wrote the song using that title - the idea being that while I saw myself as being equal to people, that really I was the same as everybody else. But they insisted that there was a difference because of the way that I lived as opposed to the way they lived. The one difference that I could think of was that I had a slight edge on them, since I was 100% present or concious. That was my feeling. Ironically, this idea of self-definition - this right to self-definition - was largely inspired by Jimi Hendrix. There's a song he wrote called "If 6 was 9", and in that song he says "I'm the one who has to die when it's time for me to die so let me live my life the way I want to". The point was that it was a declaration of independence. It was his life and he should be able to live it how he wanted to. That is exactly how I felt and how I feel to this day. This is my life, and other people's discomfort with my way of living - which is largely based upon their own behaviors, not mine - is just not going to knock me off knock me of my path. As you are probably well aware, I never intended it to be a movement because a movement would contradict the sentiment, if you think about it. If I'm saying it's my right to live my life the way I want to, it would contradictory for me to then say "you're not living correctly" and telling other people "because you smoke a cigarette or you drink a beer or take drugs or whatever that you shouldn't do that". It would be disrespecting their decision. However, I believe that by living well and trying to take care of oneself, and also by caring about people - regardless of what they do - I'd like to think that it always offers up that option to people. The thing about being straight or sober, quite often, you'll hear about people - and you ay have even heard about this is your interviews - where people refer to it as a lifestyle. In my thinking, it is not a lifestyle. Lifestyle suggests something that you can adopt. If you think about it - when you were born, you weren't getting high, you weren't drinking, you weren't smoking anything. You were just - alive. That's the root. That's life. Everything else is a lifestyle. I just don't think of being straight, of being straight edge as a lifestyle. The problem is that if it is a lifestyle then there are certain clothes you buy, or certain records you buy. It's an affectation and I find that becomes confusing because then suddenly it gets away from the root. We are just simple beings. You follow me? Ian: I always just say it straight. I think the movement idea - what happened is that there were a lot of people who said "this is a great idea. Let's make a club." And I think that's great. I don't mind the positive aspect of it and I think 95% of people - like for instance, you're interest in it is very positive and I think it's a good thing. There's also, obviously, a very tiny minority of people who have used this idea as a vehicle to release the toxicity - the violence - that is inside of them. They have a problem. They're angry, they have some sort of issues. They have to get it out of their system. They have found this idea of straight edge - this idea of a set of rules - is a very nice - convenient - vehicle to get the violence out of their system by inflicting it on other people. I would offer up that in those cases, the people who engage in that, they're real concern is not sobriety, their concern is violence. That's what they're struggling with. I feel that people who know how they're living and they're comfortable with themselves and are taking care of themselves don't really need to inflict their opinions violently on other people. That just is absurd. In any event, movements are just one step closer to armies, and I am completely opposed to armies. Any time you put an idea above a life, you get yourself on a very slipery slope. So I think that the idea of the movement - again, most poeple I know...it's great. It's very positive. It's really interesting to me. Julian, have you interviewed C.J. Wilson or are you going to interview him? Ian: The pitcher guy? Did you interview him already? Ian: it's really interesting to me. You can imagine how I feel having written a song that has picked up so much momentum. I don't think it was some genius idea. Obviously, sobriety predates alcoholism. It's obvious. I mean, there had to be a period of time before people had anything to get high with. Obviously, it's been around forever. I think that it's interesting that the name has resonated so well over the years and all the different versions of it...it's real interesting to me. If I had written a song that people were going to pick up on and it's going to trickle out and over the years grow into all these different - evolve in this way - I'm glad I wrote a song that was about taking care of oneself as opposed to self-destroying. I can't imagine how it feels - if someone writes a song about using heroin or being a gang-banger or something and then realizing that song - or the words of that song - somehow compelled people to kill themselves or other people. I just don't know how - that would just be terrible. I feel like in my case, I wrote a song that - for most people - it has been a very positive thing in their lives. I don't hink I made it positive. That was their work. I'm just a musician. Sorry if my questions are too long - I mean my answers are too long. It's just the way I am. PMAKid: What do you like more? Being in a band and recording and touring? Or do you like running Dischord records more? Or do you like both, just in different ways? 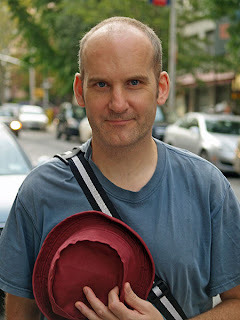 Ian: I think that I started - you know Dischord records was started because it was important to have a way to get my music out without anybody telling me how or where or why. I think the easiest way to look at that situation is to think "you can't have a label if you don't have music", but you can definitely have music without a label. For me - first and foremost - it's music. I have to say that my sense of music is that it is a point of gathering, something that people do together. You create friendships and families out of this music. That is the point for me. That is why I do all this work. If you ask me what I prefer, I have to play music. The label I do so I can play music . I like almost everything I do because it's always nice to wake up with something to do and especially if you like doing it. Right now - for instance - in this very second, I'm not playing music. I talking with you, and it's something that I want to do. And I feel like - at this very moment - I am here entirely doing this work. I'm not looking at a computer screen. I am not clicking around, doing something else or thinking I should be doing something else. I'm just having this conversation with you, right now, and that's just how I live. Sometimes I think "this is a lot of work", but it's good work, and I like doing it and I've got something to do everday, which is nice. If I didn't have music, it would have no meaning. PMAKid: You are obviously really smart and it seems like there are not always a lot of smart people in politics. Have you ever thought of running for a political office? Ian: Well, wouldn't that be dumb of me. No. I thank you for thinking that I'm smart. I grew up in Washington, D.C. I've lived here my entire life. I've never really had anything to do with the government, whatsoever. In some cities - where do you live What town do you live in? Ian: Okay, so you know that there's a government there. That's you state capitol. Does your dad work for the government? PMAKid's Dad: I worked in the State Legislature and I do some consulting with political people periodically. Ian: So your dad will tell you that - in Sacramento - there's the town and the people that live in the town. And then there's the government, the state government. The state government is people who largely come from outside of Sacramento. It's like hollywood. It's a big business. State government is big business in Sacramento. In Washington, D.C., the federal governemnt is the big business. It's the same thing as Hollywood or any city there's a giant industry, the real money machine. That's how I grew up. My father was a newspaper man. My mom didn't work for the government. I really had nothing to do with the federal government, ever. I think there's a point where you have to work for the government. At some point you say "okay, I'm going to have to get involved with this particular machine", and it is a giant all-consuming machine, really. It doesn't mean it's impossible to work with - I have a lot of friends who work with or in the government. It doesn;t mean that they sell their souls. It just means there's a certain - you know...if you're a member of a church, you have to buy, you have to believe in the tenets of the church to some degree, otherwise it just does not make any sense. I think it's a faith issue. I just don't have any faith in the government. I think of the structure - look at the situation right now - it's disastrous. It's a mess. It's a total mess. I feel quite confident. The human beings - the people - the people in this country, they're good people and it can be figured out. At the moment politics are making hay out of everything. People say "you should run for this or that", but I think it would be discouraging for me to get involved with politics because - here's an example, another way of looking at it. In the early 1990's everybody was doing rock videos for MTV. That was a big deal. 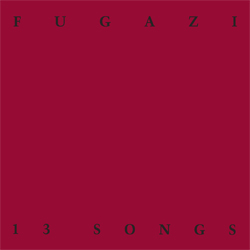 And I - Fugazi never made videos. So peole kept saying "you should do a video". And I said "why". And they said "because you guys would do really good on video, because your thoughtful, and you think about things and you would bring the respect of the band to the forum". Here's the way I was looking at it. Now picture this: you have two 50-gallon drums, right? Now one of the drums is completely empty. Just stainless steel and clean on the inside. If you took a teaspoon of s**t and put it into that barrel, right? You can clearly see that little dollop, right? Now imagine the other barrel is filled with s**t. Try putting a teaspoon of clean into that. Now, I might be over-simplifying it, but it's a nice image anyway. The thing is, I didn't go to college. I'm not a lawyer. I'm not interested in making - I mean it's not my main goal. And I think these are all things at this point that are - to be in the government, it's almost required. You have to be a lawyer or a businessperson and you just have to play by those rules. I just don't do that. I think life has a lot more to offer then just their structure. That's not to be disrepectful. I actually think that the disrespect is the other way around. I think that the way that artists are treated by politicians is insane. I remember when the United States decided to attack Afghanistan and Iraq. A lot of artists and musicians came out in opposition to that, and they were disregarded. They were made fun of and people said "oh yeah, what do they know? They are just musicians. What do they know about politics? They are just musicians." If you look at most Presidents and their administrations, they're not politicians either. They're just business people. What do they know about politics? What do they know about what they are doing? I think that artists and musicians have an equal stake in this - and quite often - the truth of the poet, while it's not a straight line, often lasts a lot longer then the truth of a scientist. PMAKid: Alright, this is the last one. If you could have any job at all, what would it be and why? Ian: Any job at all? Ian: I guess it's the one I have. I gotta tell you. I don't think about other places. You'll here this question - how old are you right now? Ian: 11, okay. You will be hearing this question from so many people in the next ten years of your life. "Where do you see yourself in five years?" "Where do you see yourself in ten years?" "What do you want to do with your life?" People always ask that question and I think, we are where we are real, right now. You are 11. You are real. You're not going to get real. You are real right now. When people say "what are you going to do when you grow up What are you going to do when you are real?" You are real. And you are going to do what you are doing on that day. This is one of those things that people often ask "where would you rather be?" I think it's crazy. I think "why wouldn't you want to be where you are, right now?" Because, you have that choice. If you really don't like where you are, then move on over. Get on it. When people say to me "where do you see yourself in five years", I say "who knows?" So, you're 11 right now, right? Ian: Okay, so a year ago, in September of 2010, you were ten years old, correct? Ian: Would it be conceivable, could you even imagine, that you'd be having this conversation with me, right now? Ian: And for your dad, I assume you've listened to music in your life for awhile. You're a punk rock guy? PMAKid's Dad: Yeah punk rock, but I listen to everything. PMAKid's Dad: My first show was about thirty years ago, but I have been to various incarnations tthrought the years. Ian: So, could you imagine - maybe 15 years ago - that you and your 11 year old son would be having this conversation. PMAKid's Dad: Oh bloody hell, no. Ian: Right. So since the three of us can agree on that, we can see the absurdity of knowing where we are going to be in five years or ten years. We can't know that. All we can really know is where we are in that moment. And that's something we really have to look after. It doesn't mean that you shouldn't think about things or work towards things. It just means the most important moment is the one you're living, not the one that hasn't gotten here yet. Ian: Good luck transcribing it! It was good talking with you guys. Take it easy Julian. I'm gonna take this blog URL outta my bookmarks and start following it. Definitely the best interview that I have read! magnificent! thank you man, greetings from Colombia.